Transforming medical records from paper to electronic form – a move backed by federal mandate and hefty financial incentives — is expected to provide a number of benefits. They include health benefits, faster tracking of disease outbreaks, cost savings for providers and improved care when a patient’s medical history is available with a doctor’s click of a mouse button. While the changes focus on better and less expensive health care, electronic health records have the potential to benefit the environment along the way, including saving tons of waste from paper and X-ray film. The medical community is still struggling through the transition from paper records to electronic data and the federal government is backing the conversion with $27 billion in incentives over 10 years. Two laws since 2008 committed federal money and set up a timeline to institute electronic health records, according to the Office of the National Coordinator for Health Information Technology. The Health Information Technology for Economic and Clinical Health (HITECH) Act was part of the American Recovery and Reinvestment Act to provide financial encouragement for the switch. The Protection and Affordable Care Act (PPACA) is primarily aimed at protecting patient privacy. 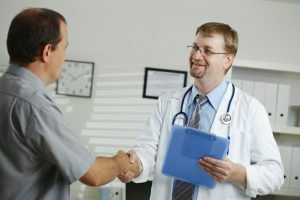 Mainly through Medicare and Medicaid reimbursements, physicians and hospitals that switch to electronic health records by 2015 will be rewarded while those who lag will be penalized. Payments to health care professionals can range from $44,000 to $63,000, the U.S. Department of Health and Human Services said in a 2011 news release on its website. As of 2012, $3.9 billion was paid to health care professionals and hospitals, a report to the health and human services department said. While the financial stakes are large, the health care industry is only now looking at potential environmental benefits. The mountain ranges of paper used by doctor’s offices, clinics, hospitals and health care groups would be replaced by computer files. Doctors would no longer fill out paper charts for each patient and duplicate files wouldn’t have to clutter different offices. A study published in the journal “Health Affairs” and mentioned in a New York Times article in 2011 offered a peek at what switching to electronic health records could mean to a major health care group, Kaiser Permanente, which covers 8.7 million people. The study that included Kaiser’s 36 hospitals and over 450 clinics showed computerized records eliminated 1,000 tons of paper records and 67 tons of X-ray film, the journal said. The study also said patients saved 3 million gallons of gas a year by letting doctors answer questions by email and eliminating trips to a clinic. The potential environmental benefit is equal to taking 300,000 cars off the road each year and cutting carbon dioxide emissions by 1.7 million tons, the article said. The article cautioned, though, that savings mainly came from changes in how things are done, not from simply eliminating paper. Increased computer use consumed more power and generated 250 tons of plastic waste, the study also said. These results are from a small portion of the nation’s healthcare industry and the Times article said that only about a quarter of the nation’s doctors use electronic records. The push for electronic health records also appears to spur job growth in health care information technology. The federal Health and Human Services department said 50,000 health care IT jobs have been created since the stimulus money was approved. The U.S. Bureau of Labor Statistics projects that jobs for medical records and health information technicians are expected to grow by 21 percent and also reports that companies are worried about finding enough qualified workers. Changing from paper charts to electronic records is not an easy process. More than 550 software companies sell medical information systems with more than 1,100 programs, according to a 2012 article on businessweek.com. Few of them work together as companies seek a competitive advantage, the article said. The lack of seamless communication between programs forces some facilities to use paper as a backup. Also, major medical facilities and small doctor’s offices face a dip in productivity while workers learn the new systems and work out glitches, the article said. Matthew Speer is the founder of iSustainableEarth.com, a site dedicated to providing real solutions for real people – helping everyone embrace a sustainable living.